The leading resource for international buyers and sellers for real estate in Cancun and the Maya Riviera. Whether you are looking for a house for sale, a condominium, a lot to build on, land for investment or development, commercial properties or business opportunities, Century 21 Caribbean Paradise is a first class choice with a proven track record and exemplary business ethics for professional real estate services. Our focus is to serve the client – If you are searching for real estate to purchase, please be assured that your best interest is our focus! Riviera Maya real estate offers something for every foreign or national family looking to live, invest or retire in Mexico. With miles of Riviera Maya beachfront real estate Riviera Maya provides vacation, investment, retiree and second home options such as condos, houses, lots and land for sale – at very competitive prices! 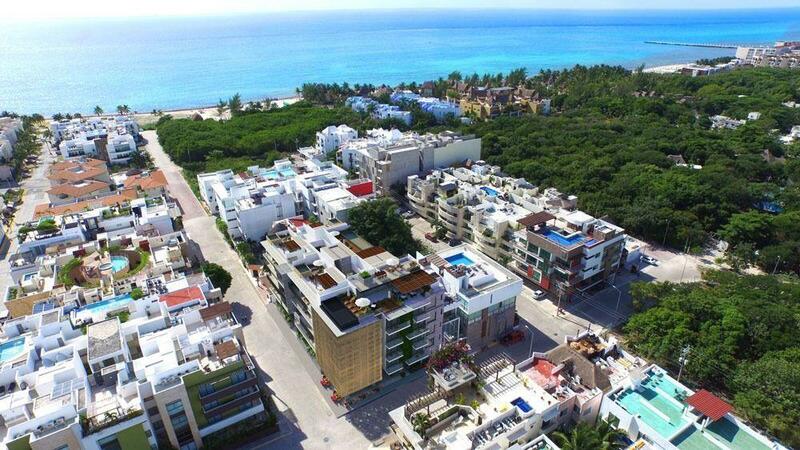 Our Riviera Maya real estate listing database can be considered as a solid resource for the greater Playa del Carmen, Cancun and Riviera Maya real estate market. With a deep understanding of residential house, condominium, commercial property and business opportunities available, our team of real estate professionals offer experienced guidance and superior real estate market knowledge. Please take a moment to meet our team of dedicated real estate professionals and contact us today! Why choose Century 21 Caribbean Paradise? Century 21 Caribbean Paradise is lead by a team of professionals who have merged in order to create the strongest franchise team -- utilizing their years of experience in residential, commercial and corporate real estate expertise. Century 21 Brokers are eager to share their experience with their new team members and offer extensive training to assure Century 21 Cancun Real Estate Executives are professional, knowledgeable and ready to assist with the best interest of the clients needs first. As a part of Century 21 Mexico -- the largest real estate network in Mexico with over 2,000 agents in 142 locations throughout the country -- Century 21 Caribbean Paradise is uniquely equipped provide industry-leading real estate services. Century 21 Caribbean Paradise provides aggressive real estate marketing for our exclusively listed Cancun properties for sale which can be found in the AMPI Realtor MLS Portal and over 40 other real estate portals worldwide. Want to consider a career in one of the Best Real estate companies in the World?